Pig Stone Beach Bali is slowly becoming a popular spot to visit and explore for a number of reasons. 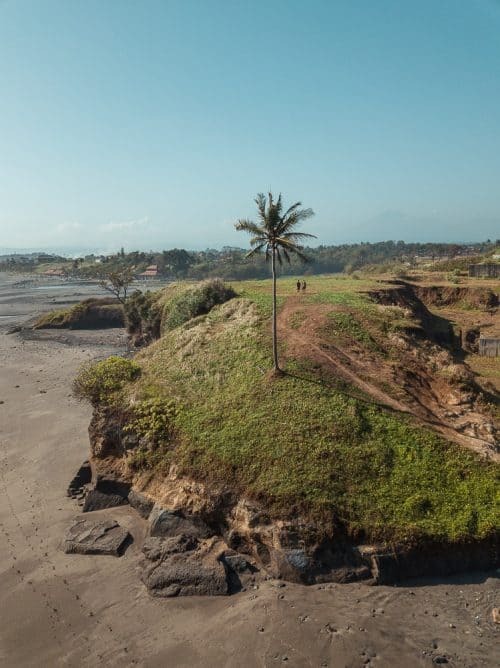 Only a short drive away from the more crowded beaches in Canggu such as Old Man’s and Echo Beach, you can discover Pantai Pig Stone. 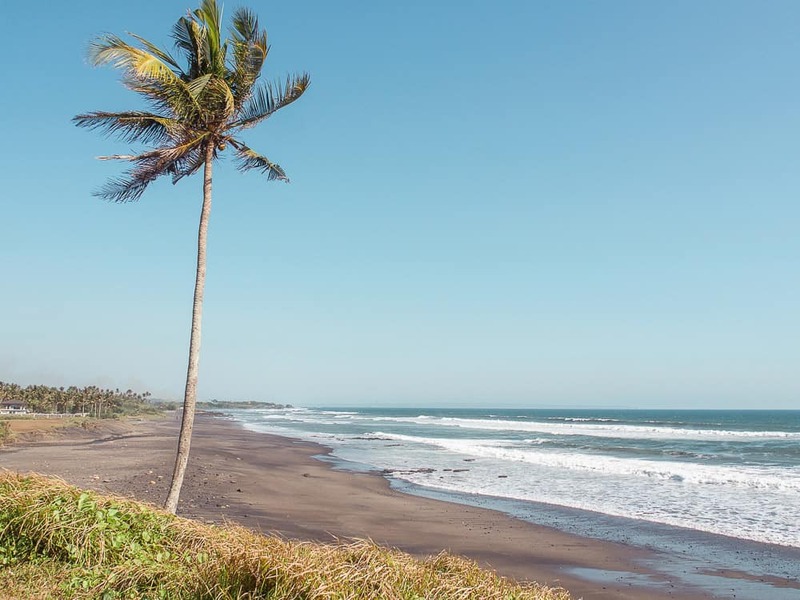 From Canggu, Pig Stone Beach Bali is approximately a 20-minute drive, depending on the traffic. 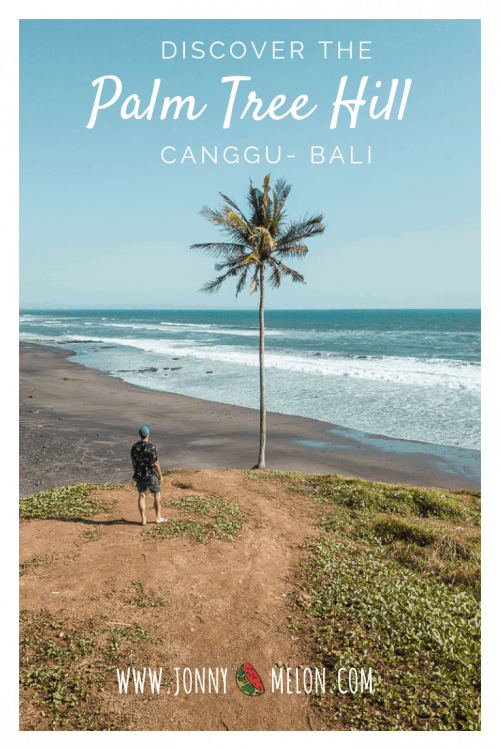 The drive to Pantai Pig Stone will take you past beautiful rice fields, traditional villages, small temples and you will get a feel of the real Bali and what Canggu used to be like before the mass influx of tourism and infrastructure. Pantai Pig Stone is an isolated black sand beach that is very raw and untouched. 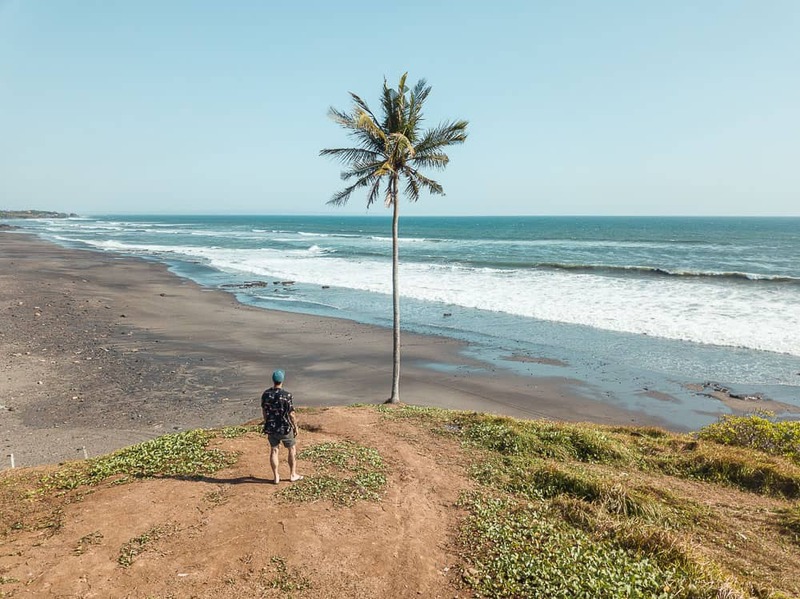 There is an uncrowded left-hand surf break in front of the palm tree hill at Pig Stone Beach Bali which is best surfed on a mid to high tide. 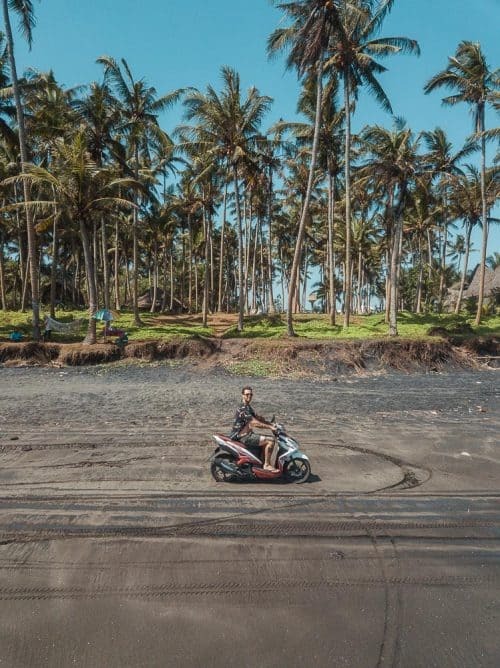 If you a motorbike enthusiast like myself, Pig Stone Beach Bali is a great spot to take a bike down on to the black sand and cruise up and down the coastline at your own will. The locals are really chill and you won’t get into trouble from them and chances are you won’t be the only one burning around Pantai Pig Stone as this location is a popular spot for a motorbike session, especially around sunset. There are no local warungs (local shops) to buy food or water at Pig Stone Beach Bali, so be sure to come prepared. The palm tree hill makes a great spot for a lunchtime picnic or afternoon sunset beers, a perfect excuse to round up your mates and make a day of it! It is best to visit Pig Stone Beach Bali on a day trip from Canggu. There are countless accommodations in Canggu including luxury resorts, private villas and budget hostels. 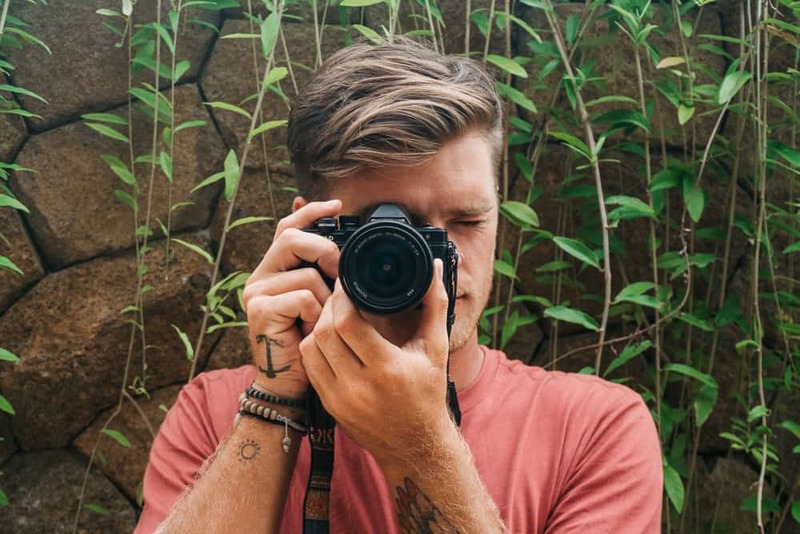 To look and book accommodation in Canggu, click HERE to choose a place that best suits your budget. There is no cost to visit Pig Stone Beach Bali which is ideal. 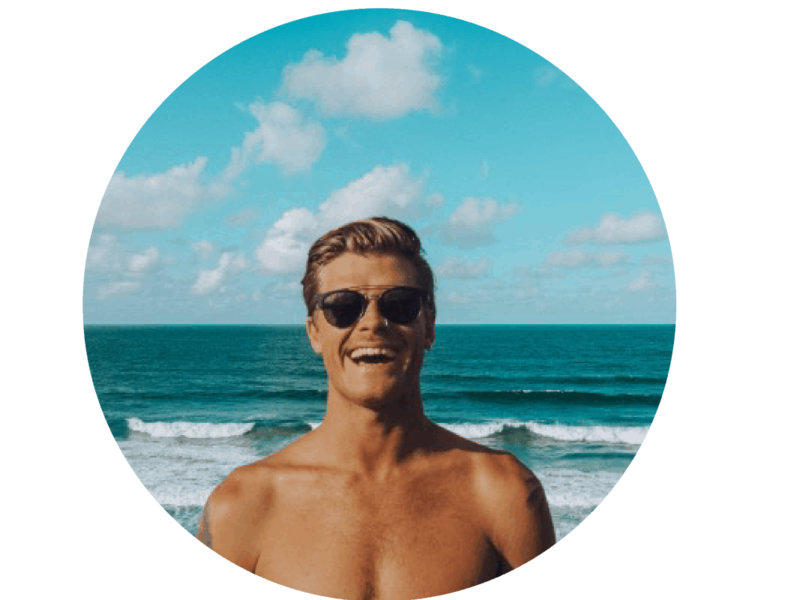 The more popular beaches in Canggu and Uluwatu tend to have parking fees and entry fees. If you are taking snacks, water or beers to Pantai Pig Stone, always remember to take your rubbish with you and leave the place cleaner than you found it. Plastic pollution is one of the biggest problems in Bali and Indonesia as a whole, so the last thing we need is for people to be adding to this issue by leaving rubbish behind. 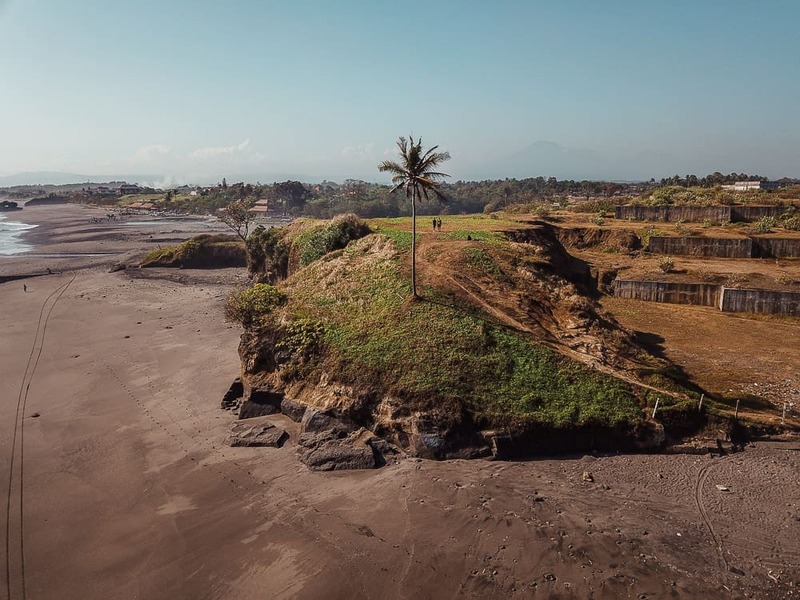 There is not much shade at Pig Stone Beach Bali and it can get really hot during the middle of the day, especially on the black volcanic sand. Make sure to bring sunscreen if you plan to spend the day out here. I hope you enjoyed reading this article and if you have any questions about Pig Stone Beach Bali please leave me a comment below.